It's so high-tech, even your smartphone and an internal scale are involved. That's exactly why NutriBullet created their latest product—a game-changing blender called the NutriBullet Balance—which is designed to solve each and every one of these problems and, frankly, make smoothies healthy again. 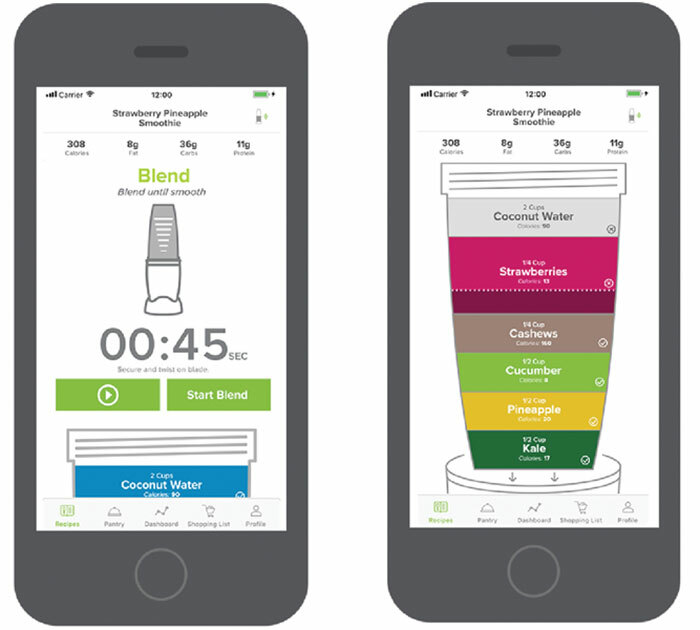 The blender has a built-in Smart Nutrition Sensor™ that connects via Bluetooth to an app on your smartphone or tablet. Once you're connected, the sensor serves up real-time measurements, nutritional info, and recipe directions. How it works: you can filter smoothie recipes in the NutriBullet Balance app by your nutrition goals or dietary preferences (vegan, low-calorie, gluten-free, etc.) or choose to DIY it. (Try one of these smoothie recipes that pack all the nutrients you need in one cup.) The app will instruct you how much of each ingredient to add, and in which order to add it, so you don't get that annoying chunk of un-mixed protein powder at the bottom. As you're, say, pouring in almond milk, the sensor will track how much you're putting in, and alert you when there's enough. Pour too much by mistake? No worries—it'll reflect the accurate calorie count at the end. This fancy new kitchen tool will set you back about $180 for the whole set (including the blade, cups, rims, and lids). But compare that to your daily $10 smoothie shop indulgence and, well, all of a sudden it sounds like a solid investment. The Nutribullet Balance is available for pre-order now, and will be rolling out to select retailers during the holiday season. (Which means, yep, you should add it to your wish list.) Happy blending!